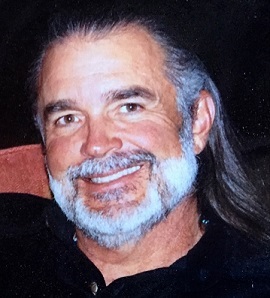 Stan Posey is a licensed Diplomat in Acupuncture and practices Chinese Medicine in Tucson, Arizona. Stan incorporates the use of Acupuncture, Chinese Herbal medicines, Tui Na Therapy and Manipulation, Craniosacral Therapy and Jin Shin Jyutsu in his practice. This combined strength of Stan's education and experience are the result of his strong interest in the sciences involved in alternative healing modalities. Stan holds Bachelor of Science degrees in Bio-Agriculture and Botany from Arizona State University. He began his training in acupuncture and Traditional Chinese Medicine (TCM) at the California Acupuncture College and continued to build on that training at the Pacific College of Oriental Medicine, where he graduated in 1988. A strong belief in the efficacy of a variety of healing methods led Stan to pursue additional training in Craniosacral Therapy through the Upledger Institute. He also has followed up with intensive training in Tui Na Therapy and Manipulation, with masters Vince Black OMD and Bill Helm. The other hands-on technique that Stan has been studying is Jin Shin Jyutsu, a Japanese Art brought to America by Mary Burmeister. One of Stan's early interests was centered around what he has found to be the best self-learning tool - Evolutionary Astrology. He incorporates this method along with Rudolf Steiner's spiritual approach to astronomy and astrology - Astrosophy. This makes for a powerful and intensive adjunct in the treatment setting. The ability to get to the soul and spiritual issues that dominate a person's life path and, then also, there physical well-being, helps a client find their way back to wholeness in deep and more fully conscious ways. As an experienced and respected practitioner, Stan also shares his passion and knowledge of these healing arts through his teaching. Starting in 1996, Stan has taught at both the Arizona School of Acupuncture and Oriental Medicine and at the Asian Institute of Medical Studies. His dedication and passion to this field have had a positive and lasting impact on patients and students alike. Stan is currently in private practice in Tucson, Arizona. Stan moved to Tucson in 1992 after practicing at North Park Health Center in San Diego, California starting in 1989.